South Korea’s presence as an international business and commercial hub has been well established. Being The home of Samsung and Hyundai has made South Korea an export-rich powerhouse. 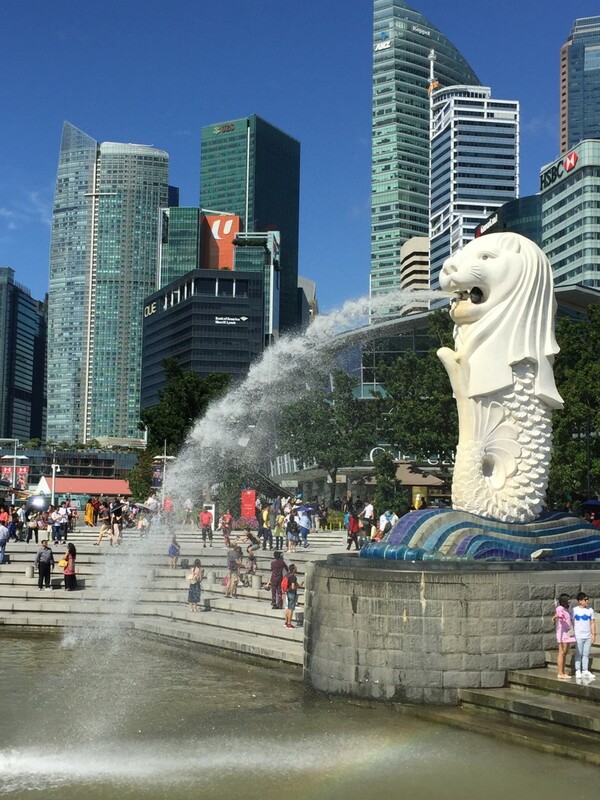 However, it is also becoming a popular tourist destination in East Asia: between 2010 and 2012 the number of tourists in the country increased from 8.5 to 11.1 million. In 2018 Pyeongchang will host the Winter Olympic Games, which will once again display the country's tourist potential. 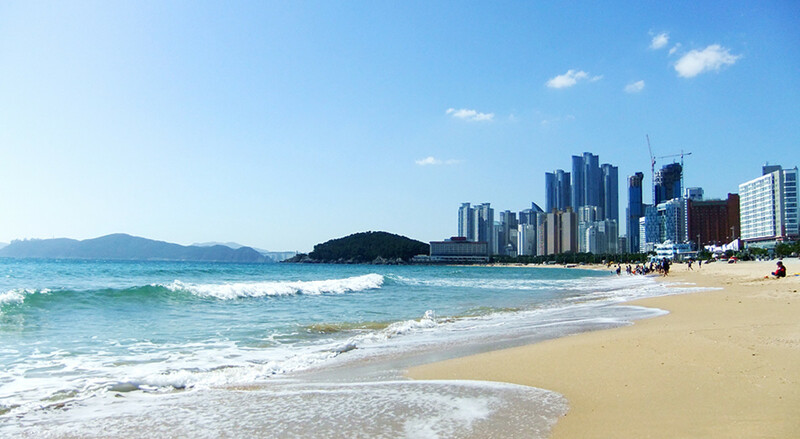 Busan is South Korea’s second largest city after Seoul, with 3.6 million people, and located along the country’s southeast coast. Its failed bid to host the 2020 Summer Olympic Games shouldn’t offset its reputation as a convention city which annually hosts many international events. The city is also well known for its long beaches and for having the world’s largest department store (Shinsegae Centum City) and the world’s fifth busiest seaport. The Busan Aquarium is another great attraction worth a peek. Historically, Busan was the only major city not to be taken by the invading North Koreans during the Korean War and it was around this city that the Pusan Perimeter was formed. 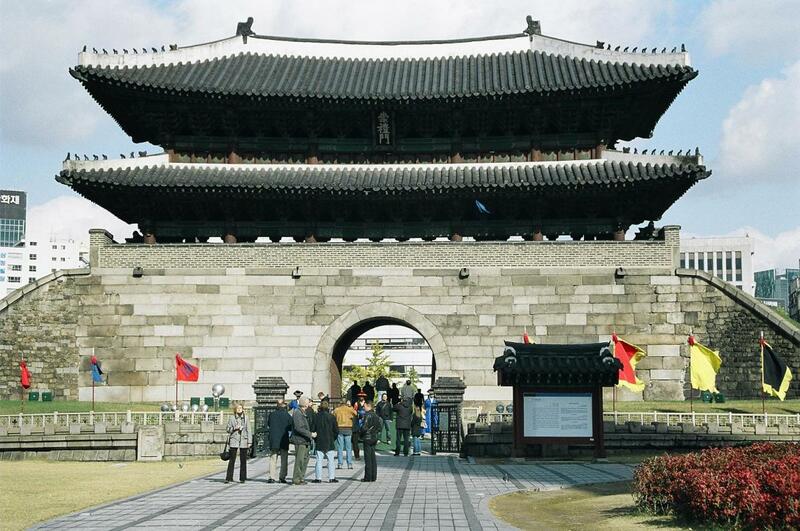 Culturally and historically the Beomeosa Temple and the Dongnaeeupseong Fortress are two of the city’s great treasures. 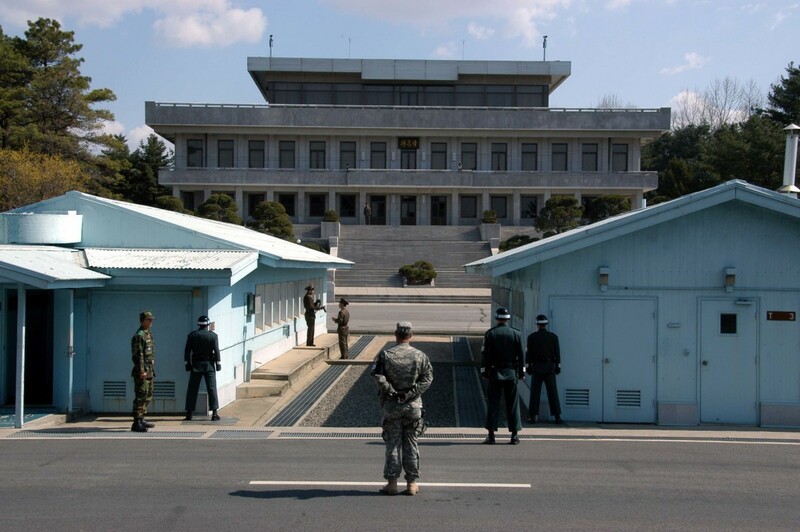 Also known as the Korean Demilitarized Zone, the DMZ is the buffer zone between North Korea (Democratic People’s Republic of Korea) and South Korea (Republic of Korea) and the most heavily fortified border in the world. The two countries are still at a state of war with one another because no peace agreement has ever been signed. 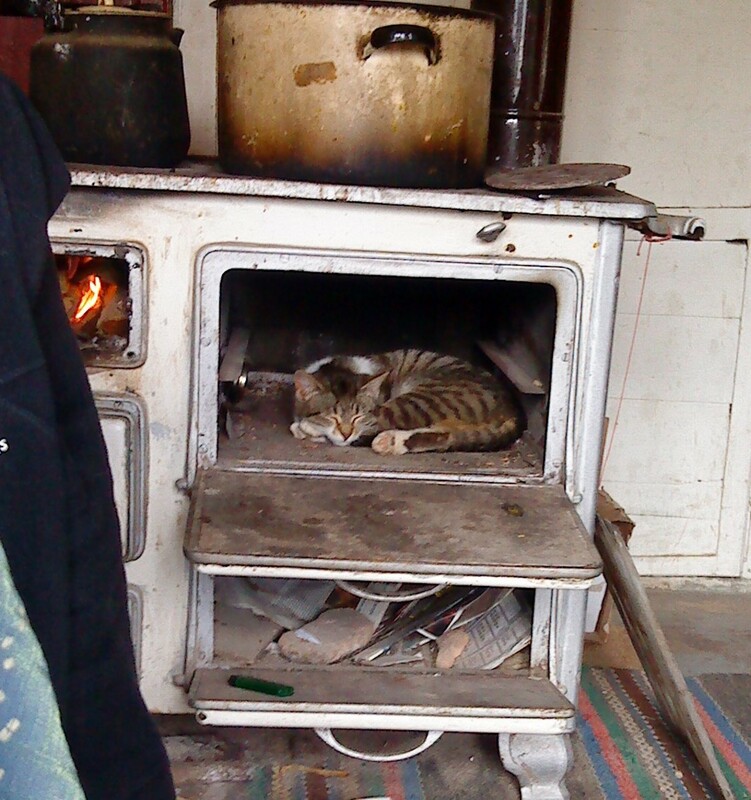 When hostilities ended in 1953, only a cease fire was called. The DMZ is lined with checkpoints, barriers, concrete tank traps, mine fields, barbed wire and armed patrols on either side. Occasionally hostilities still occur where the two countries exchange or receive fire. This fortified zone is a surreal Orwellian place where the Cold War has been frozen in a dead zone of failed negotiation. Ironically, the Joint Security Area (JSA) is a very popular tourist area where visitors in South Korea can snap pictures of North Korean sentries. Bring your zoom lens. Not to be eclipsed by its larger counterpart Seoul, Incheon sits only a few miles west of Seoul, but it has its own gravity and makes for a very easy day trip from Seoul. 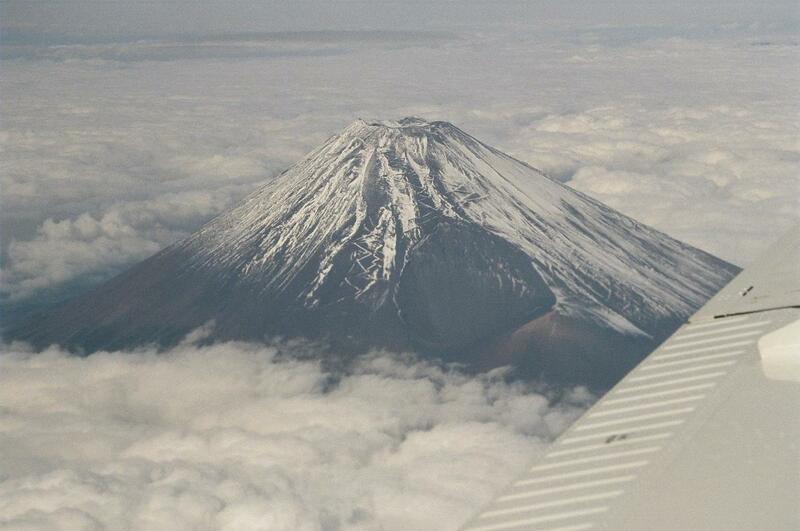 It is the country’s third largest city with 2.9 million and second busiest port. Historically there’s not much to the city. Its population in 1883 was a mere 4,700 when a port was built, known as Jemulpo. But it was here in September 1950 where US troops landed behind enemy lines to cut off the North Korean army and that put the city on the map. After Normandy it was one of the largest sea-based invasions in history and it turned the tide on the Korean War giving the US-led UN forces the upper hand. Today the city is best served by its signature Incheon Airport, South Korea’s busiest and primary port of entry- one of the largest and busiest airports in the world. 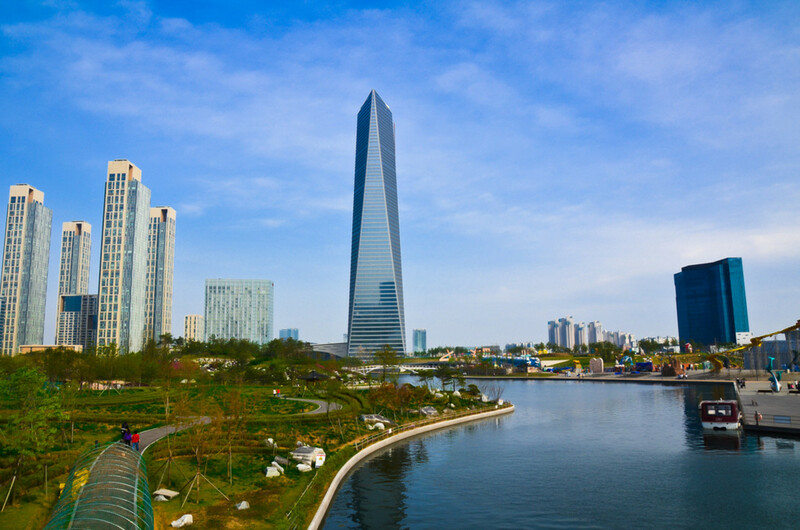 Incheon's Free Economic Zone is a city of steel and glass skyscrapers which reflect the city’s outward-looking focus. Incheon is also home to South Korea’s only official Chinatown and the country's tallest building, the Northeast Asia Trade Tower soaring 305 meters tall (1,001 feet) high. Hallasan forms the central cone of Jeju-do, a remarkable subtropical island off South Korea’s south coast. Not surprisingly this island is to South Koreans what Hawaii is to the United States. Very popular with honeymooners, if you can tolerate the hoards of tourists, this is a beautiful and geological interesting place to explore. Hallasan (1,950 meters, 6,398 feet), a shield volcano, is South Korea’s highest mountain and typically wears a mantle of snow during the winter months. It’s also probably the best place to try snorkeling in South Korea. Other notable geologic sites include a number of waterfalls which cut through volcanic rock, including the Cheonjiyeon Waterfall and Jeongbang Waterfall. 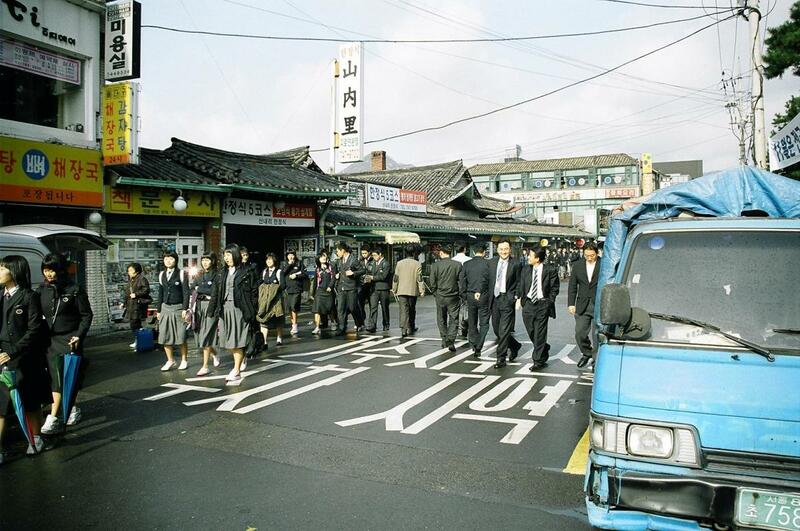 The island has a unique culture distinct from mainland Korea whose natives speak a distinct dialect and follow mostly matriarchal family lines. The omnipresent Dol hareubang statues, which ward off evil and promote fertility are interesting talismans which can be found island-wide. Jeju is home to the famous female divers known as haenyeo (“sea women”) who free-dive for abalones and conch. 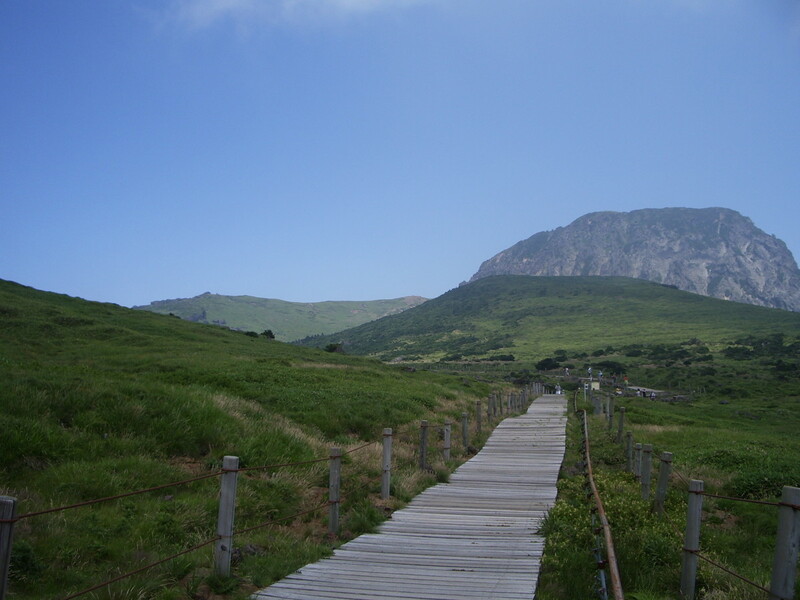 Jeju is listed as a UNESCO World Heritage Site. 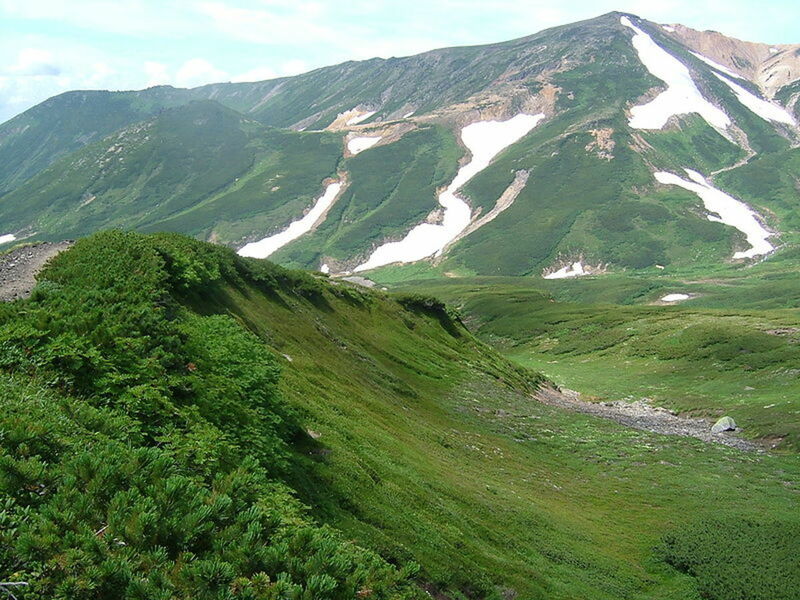 Located in the southern part of the peninsula, Jirisan National Park enshrines the country’s highest peninsular peak at 1,915 meters (6,283’). It’s a great place to experience the wild nature of peninsular South Korea without the crowds that you’ll find at Seoraksan. 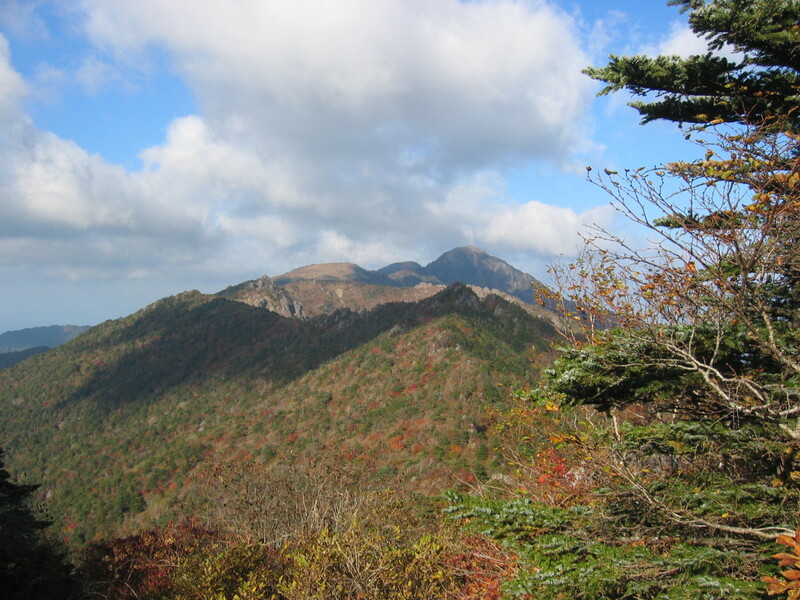 Along with Seoraksan and Hallasan, Jirisan is one of the three most important mountains in the country. The top of the peak is accessible by foot trail from Ssanggyesa Buddhist Temple and takes 18.4 kilometers of round-trip hiking. These 40 tombs are scattered across 18 locations in and around Seoul and are listed as UNESCO World Heritage Sites. 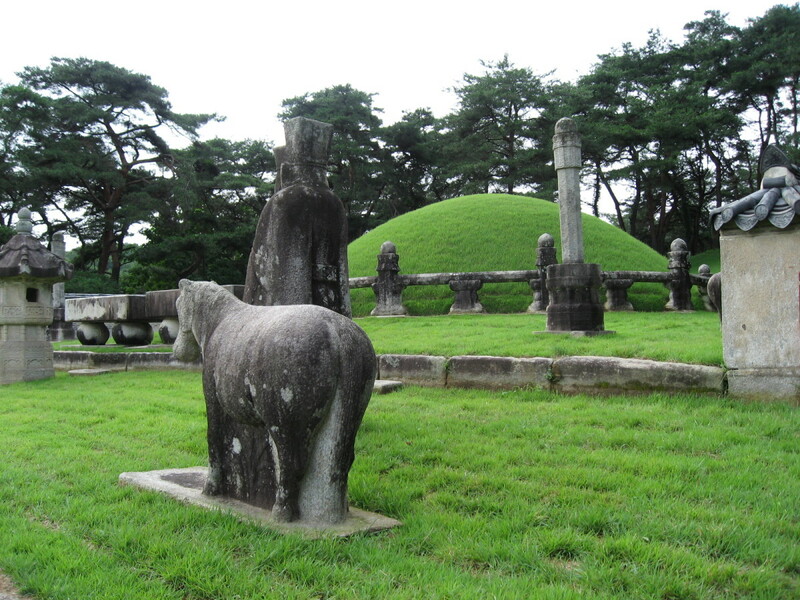 Recognized by their distinctive mound-like structures the tombs contain the burial places of Joseon Dynasty members. The best-known cluster of tombs is at Donggureung, in the city of Guri just east of Seoul. The crown jewel of South Korea’s national park system, Seoraksan is a magical and mystical place of soaring granite peaks that float above the deep valleys in haunting beauty. Heavily visited in the autumn for the beautiful fall colors, Seoraksan’s tallest peak, DaechongbongPeak, is 1,708 meters (5,604’) high, the third highest mountain in South Korea. Notable waterfalls include Biryong (Flying Dragon) Waterfall, a beautiful horsetail fall that drops more than 30 meters and Cheondang Waterfall which drops through a series of deep potholes. The famous Rocking Rock (Heundeulbawi) keeps tourists and cameras busy as does the giant Bronze Buddha of Sinheungsa near the entrance to the park. Seoraksan is a UNESCO World Heritage Site. 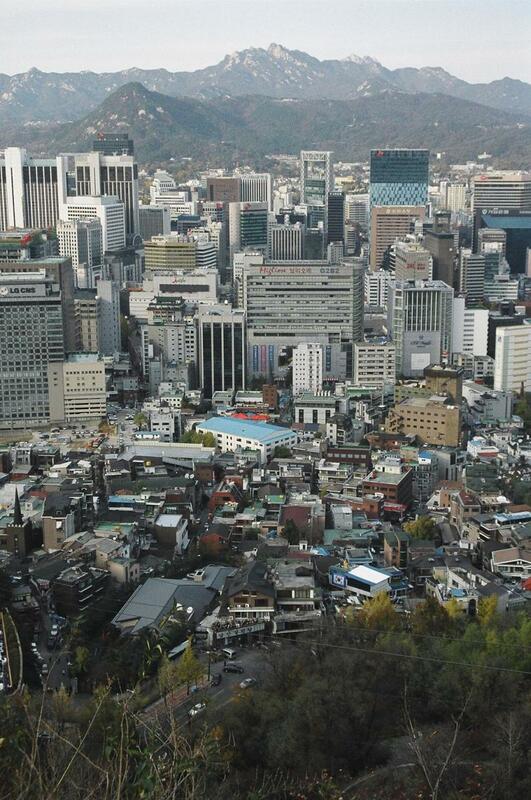 Seoul, South Korea’s capital and largest city requires no special introduction. Brimming with 10.1 million people the city is the country’s pulse culturally, historically and commercially. Greater Seoul is said to be the second largest metropolitan area in the world and the 4th largest metropolitan economy after Tokyo, New York, and Los Angeles. No wonder that is also known as the Miracle on the Han after the river on which it sits. If you’re here for entertainment you can’t miss Lotte World the second largest indoor theme park in on Planet Earth. Other prominent modern landmarks include the N Seoul Tower atop Namsan Mountain in the city’s center. Whether you ride to the top or just walk up this steep hill views of the city are great and the dragon-teeth mountains which surround and indent the urban realm. The tower is hard to miss and can easily be used as a landmark for navigation. It tops out at just under 237 meters (777 feet). Three great museums which should be visited in any three day itinerary are National Museum of Korea, the National Folk Museum, and the Korean War Memorial which also has an excellent museum. If you have to choose between the three, at least try to see the National Museum of Korea for an extraordinary representation of the country’s culture and history. 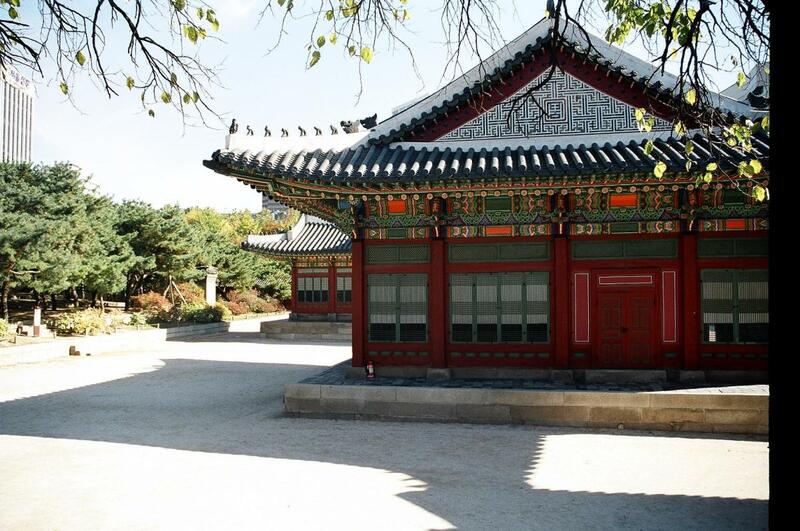 Shrines and palaces are also plentiful in the city and at least two are UNESCO World Heritage Sites: Changdeokgung Palace Complex and the Jongmyo Shrine. 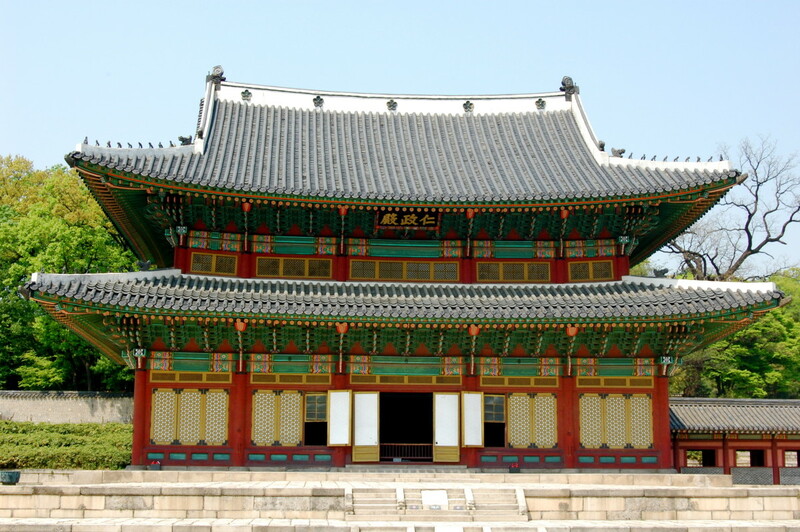 The other four of the Five Grand Palaces are also located in Seoul all built during the Joseon Dynasty (1392 – 1897): Changgyeonggung, Deoksugung, Gyeongbokgung, and Gyeonghuigung. The city’s six ancient gates, iconic symbols, are also not to miss although chances are you will run into at least one of them without much effort. Considered national treasures the most famous is probably Namdaemun. Originally there were eight such gates and all built between 1396 and 1398. Read here about a cheap impromptu tourist trip to Seoul I received as a military perk. 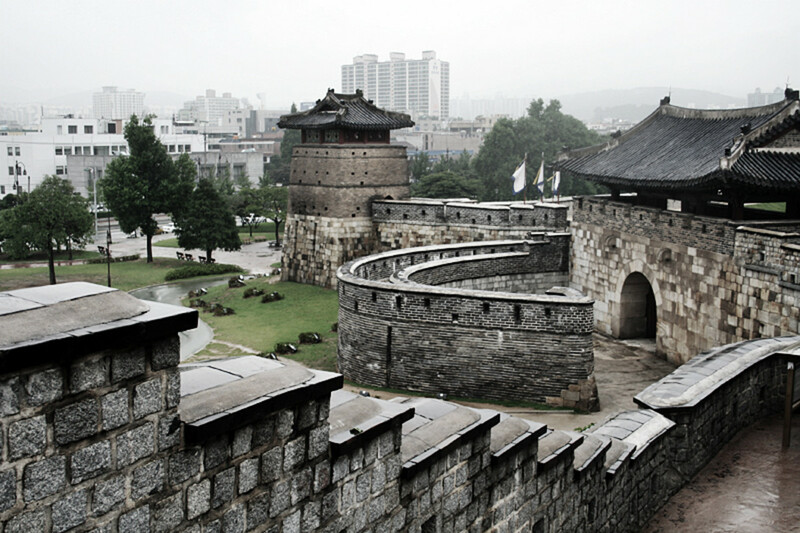 An easy day trip only twenty miles south of Seoul, Suwon is South Korea’s only walled city. Built between 1794 and 1796 the walls of this fortress which encircle the city were intended to protect and honor the remains of King Jeongjo’s father, Prince Sado. 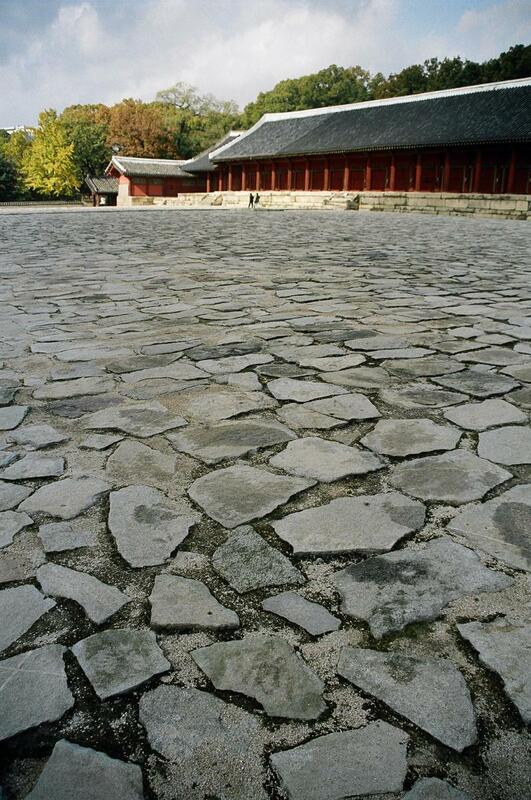 A designated UNESCO World Heritage Site, the fortress also includes the King’s former palace, Haenggung. Situated 75 miles (120 kilometers) off South Korea’s east coast and accessible by passenger ferry Ulleung-do is a volcanic island which culminates in an abrupt airy volcanic peak 984 meters (3,228 feet). Ulleung-do is famous for fishing, squid, and tourism. If you want to get away from it all, this is the place, with its haunting volcanic scenery and only 10,500 inhabitants in 28 square miles. What Place in South Korea Do You Like Most? South Korea: Ten places to visit. I have always wanted to go to South Korea, but there are too many things to see and I can't seem to decide what to visit. 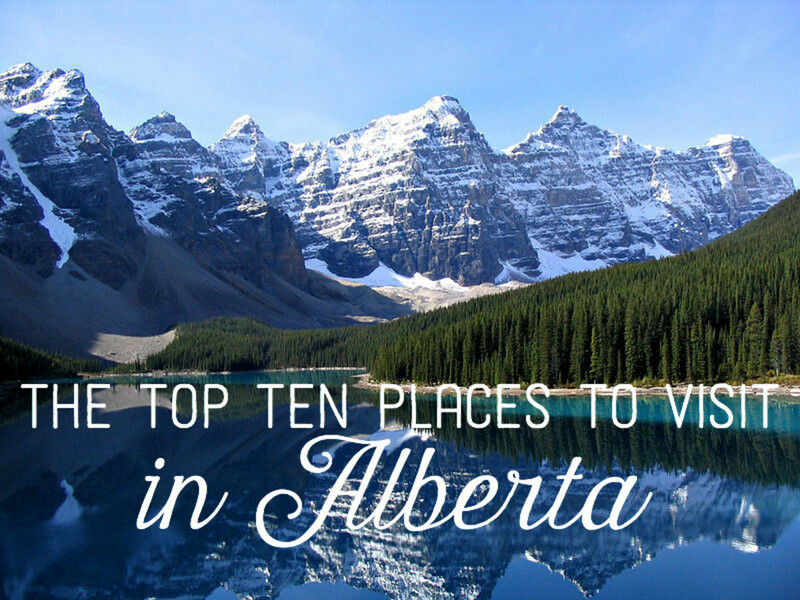 These seem like great places to start! I never knew that Hyundai is a South Korea based company.I really like that country.It is a democratically stable country compared to their northern neighbours. MST - I believe the best time to go is in the fall or spring. The colors are spectacular when the trees are shedding or blooming, esp. in the mountains. You can't really escape the crowds any time of the year, but the temps are less extreme during these two seasons. Best of luck! I'm currently in the process of planning a trip around South Korea, to better incorporate it into my Hub-novel, so your hub was interesting. I've been to Seoul before but only for a short stay. 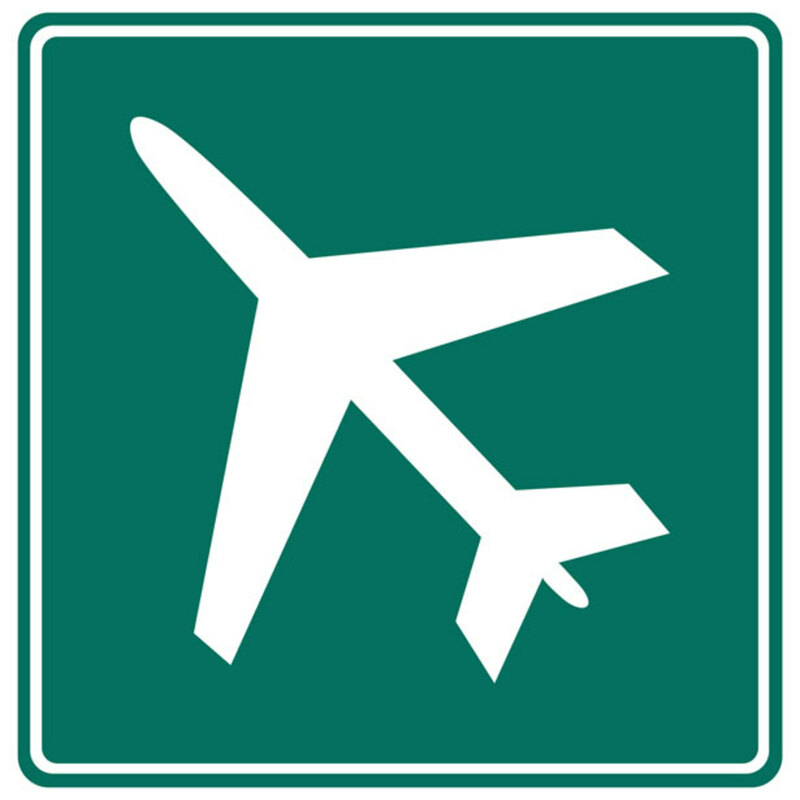 In your opinion when is the best time to visit? weather wise? Nikkah - I don't know much about their movies but thanks for letting me know. Staying a while is always the best way to get a sense of the country. Best of luck. As a writer, I think staying for a while in Korea will inspire me to write good fiction. The place is rich in culture. No wonder Koreans produce rich content in their movies and dramas.